Making your event unique to you. 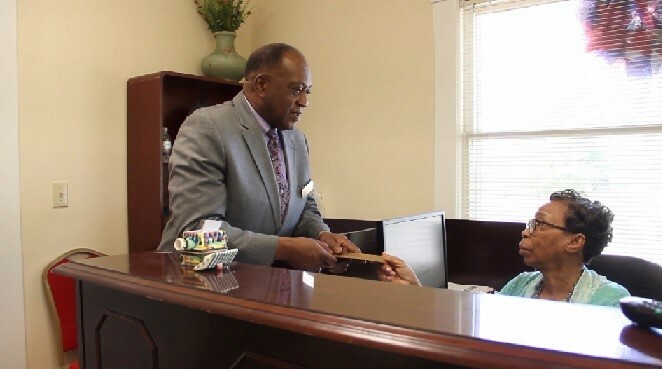 Founded in October 2013 by Richard and Mary Allen, Citizens Park Office & Conference Center (CPOCC) is located in Aiken and serves the entire Central Savannah River Area (CSRA). The company offers a full range of business services, Temporary office space, conference/training rooms, and banquet halls. CPOCC provides best in class services including security, wireless internet, sound proofing, and a dedicated receptionist. Richard Allen is a service disabled veteran with over 30 years of experience in managing businesses both in the military and private sector. He received the 2018 South Carolina Veteran Small Business Person of the Year on May 2, 2018. Mary Allen is a former 4th grade teacher who taught at Mountain View Christian School in Las Vegas, Nevada. Here, she received Teacher of the Year. Lauren Baker is a student at University of South Carolina Aiken and majoring in Communication. She is expected to graduate in May of 2020.